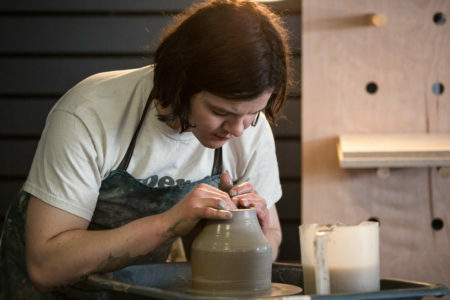 The National Festival of Making is a unique celebration of UK making, from the factory floor to the kitchen table. 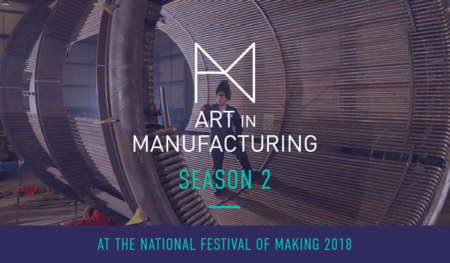 Presenting a programme of work that combines Art, Manufacturing, Making and Communities – commissioning international and national artists to create world class works and a participatory FREE FAMILY festival for all to enjoy. We’re pleased to announce that the festival will return in June 2019 with an even more ambitious programme of making and digital technologies, hands-on maker workshops, innovative art installations and a full festival programme of activity. Blackburn – and Pennine Lancashire – are rich in heritage and thrive with industrious makers and manufacturers. We’re proud that the town and its people have welcomed the festival back to showcase their skills and spirit and to welcome the nation’s best and most innovative makers and shakers. The 15th & 16th June 2019 will see a town-wide takeover of Blackburn centre, with hundreds of things to make, see, hear and do, from Town Hall Square to the Cathedral Quarter. We’re currently putting together a programme of music, markets, street food, art, performance, tours, talks and workshops and would love to hear from you if you’d like to be involved – sign up to our newsletter below to keep up to date with news and programme updates. 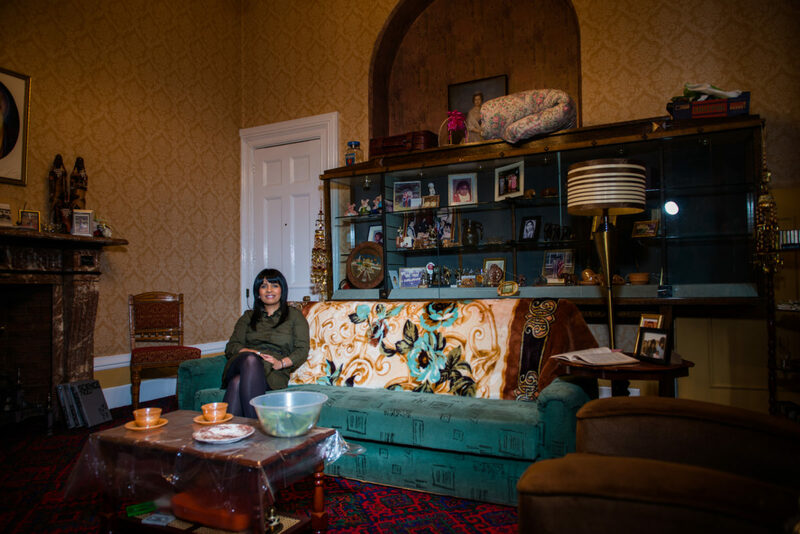 With a line up featuring everything from traditional asian wedding crafts to welding, leather-working to hand-embroidery, ancient mould-making to screen-printing your own retro packaging and everything in between, our FREE and low-cost workshops have something for everyone. We are currently planning the programme for 2019. For a taste of last years workshops visit the 2018 ‘What’s On Pages’. A soundscape in an eerily abandoned ballroom, the full-bodied embrace of a wallpaper mill’s colour capabilities and the wholesale movement of tonnes of industrial machinery all featured in the 2nd year of The Art In Manufacturing. Placing the tools, materials and expertise of a diverse range of companies into the hands of six specially-commissioned artists, each took up residency on the factory floor of busy manufacturers to create ambitious new works of art. 2019 will see an all new programme of artists and factory outcomes. Supporting entrepreneurs and creatives who take their hobbies to the next level, our Makers Market is curated by the wonderful Hopeful & Glorious. 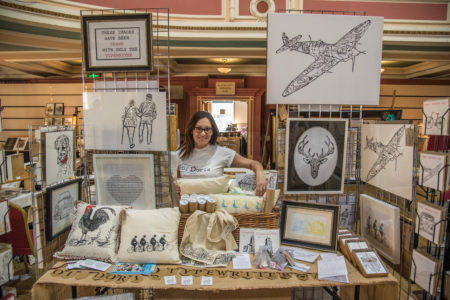 King George’s Hall will display the very best in British making as you browse handmade items from our favourite art, design and crafts people. There was such a positive vibe and a beautiful diverse turnout that celebrated everything Lancashire is and was. 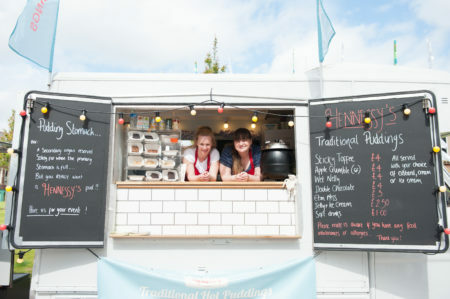 Eat, Drink and Discover – our irresistible food traders (the food isn’t bad either) will line the streets of Blackburn with uniquely styled vehicles and stalls, shaking up your taste buds with the finest the UK has to offer. In 2018 we used the wonderful tool of cooking to develop community spirit, with Cracking Good Food teaching festival goers about healthy cooking, and reducing food waste whilst making sure everyone ate for free at the festival. 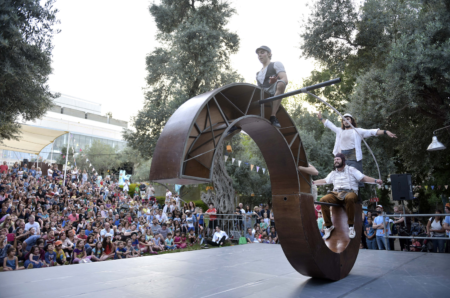 In 2018 Spain’s acclaimed Vaiven Circo Danza performed their construction-meets-circus show Do Not Disturb, Urban Arts Experience pull up in a mobile recording studio to take budding musicians and dancers to the next level. An orchestra of 40 young musicians make themselves heard with a new performance celebrating Lancashire life and much, much more! What will the performance programme in 2019 bring?! We are currently planning performances and street theatre for 2019 . For a taste of what’s to come, check out our What’s On Pages’ from 2018!